Bought the program to do some mapping work, but had a chance to play with it today (storms kept our customers home, so what can I do about it?). 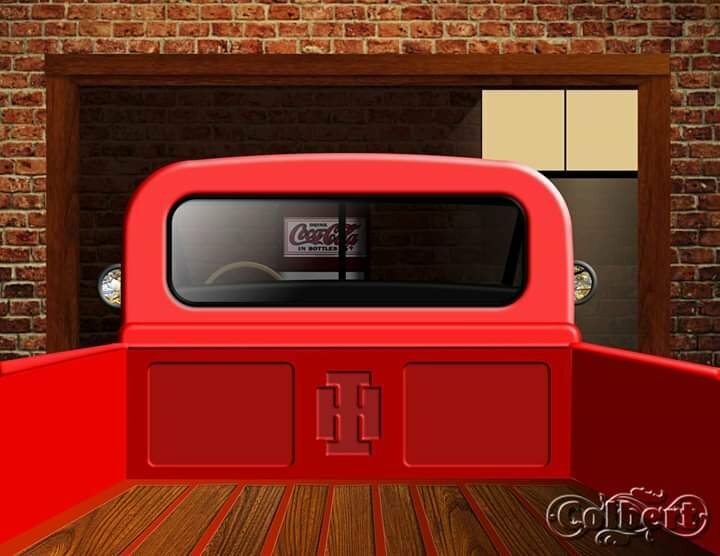 Based very loosely on an old 1940s International Harvester pickup. All my work except the coca-cola logo on the drink machine.